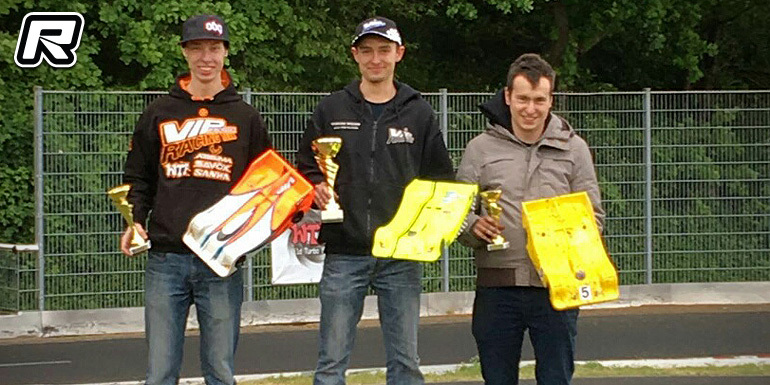 The opening round of the new RC Lemans Series South Division, a sister series of the popular RC Lemans Series, was held at the MBC Bamberg track in the south of Germany over the weekend. The weather forecast wasn’t too promising for the weekend but despite some rain drops in the third Stock class A-main the race would be held in dry conditions. In the Modified LMP1 class Tobias Weist would be able to grab the TQ some 0.8s in front of Timo Schad with Maxi Vief only 1.1s behind Timo in third. In the Stock LMP2 category it was local hero Matthias Feld who took the TQ with the only 17 laps run from Marlon Beuershausen and Timo Schad in second and third. The LMP1 mains saw a lot of battles for the positions and it was the TQ holder who took maximum profit of the situation. 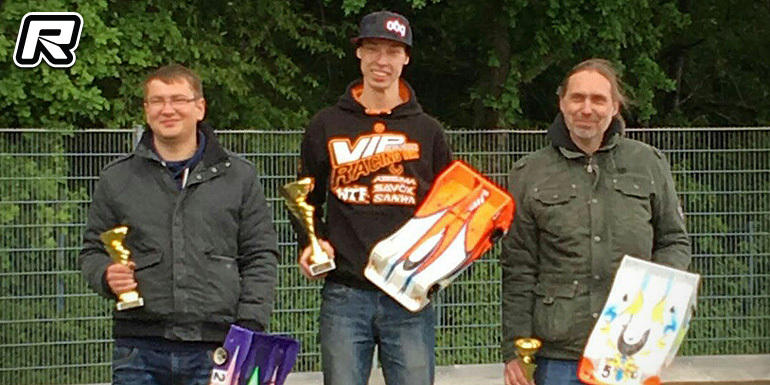 Tobias as able to cruise to the win in A1 and he would also come out successful in A2 to grab the overall win early. Maxi Vief and Alex Krenn would take the positions behind Tobias in the opening A-mains with Timo and Maxi coming in second and third in A2. A3 then would decide over the remaining podium positions with the better end for Timo whose win in the final A-main secured him the overall runner-up spot from Maxi. In the LMP2 class Timo Schad, coming from the 3 spot on the grid, grabbed himself the win in A1 from Rainer Schad and Matthias Feld. Marlon, who came from the 2 spot and who was in the lead until the penultimate lap suffered from a dying battery. A2 then saw Matthias taking the win from Marlon and Timo who were also in the mix for the overall win going into A3. The final A-main then was mixed up by a short rain shower and it was Timo who made the best out of the conditions and who would grab the overall win from Matthias in second and Rainer Schad in third.